This is episode 16 of the CB Northwest and Camp Tadmor events podcast. 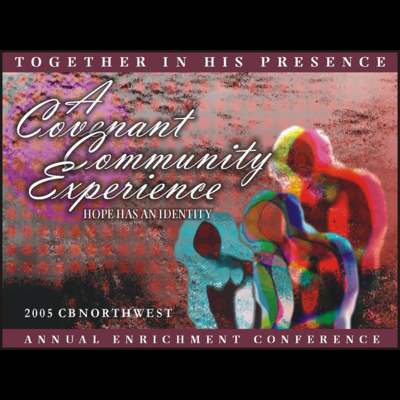 Continuing with the 2005 Annual Enrichment Conference: Together in His Presence: A Covenant Community Experience, Hope Has an Identity. Session 2 was the Business Meeting. This is Session 3, with Luke Hendrix. This is episode 15 of the CB Northwest and Camp Tadmor events podcast. 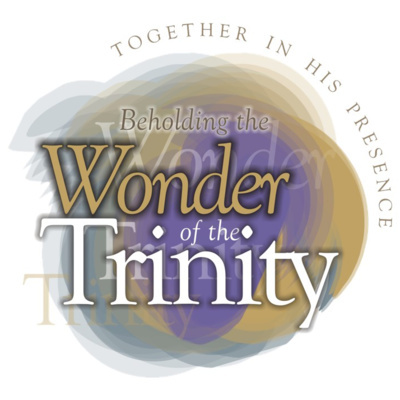 In this episode we’re going back to the 2005 Annual Enrichment Conference: Together in His Presence: A Covenant Community Experience, Hope Has an Identity. This is Session 1, with Mark Hoeffner. This is episode 14 of the CB Northwest and Camp Tadmor events podcast. From the 2019 Annual Enrichment Conference, this is session 5 from Wednesday night. Jeremy Schumacher interviews a number of different people getting updates on a number of churches, individuals, and ministries. This is episode 11 of the CB Northwest and Camp Tadmor events podcast. This the first session this year’s Annual Enrichment Conference. Session 1 feature our Executive Director, Mark Hoeffner speaking on Trinitarian Foundation. This is episode 11 of the CB Northwest and Camp Tadmor events podcast. This the first session this year’s Annual Enrichment Conference. Session 1 feature our Executive Director, Mark Hoeffner speaking on Trinitarian Foundation. This is episode 10 of the CB Northwest and Camp Tadmor events podcast. We’re finishing up our most recent event, Winter Youth Celebration 2018. The theme was Become, Romans 6:17-18. Here is Session 5 with Katy Faust. Katy Faust is the Founder of Them Before Us, the only organization solely devoted to defending a child's right to their mother and father. She did her undergraduate degree in Political Science and Asian Studies at St. Olaf College and then received a Fulbright scholarship to Taiwan. Her fluency in Mandarin assisted her when she worked with the largest Chinese adoption agency in the world. In 2012 Katy began blogging about marriage and children at askthebigot.com. Her articles have appeared in USA Today, Public Discourse, and The Federalist and she has filed two amicus briefs opposing the redefinition of marriage. She has advocated for the rights of children with lawmakers in the US and abroad as well as at the United Nations. She currently appears in a video series called Dear Katy which offers advice on how to live sexual integrity in the midst of morally permissive cultures. She is married and the mother of four children, the youngest of whom is adopted from China. Winter Youth takes place December 28th through the 30th at the Red Lion Hotel at Jantzen Beach in Portland, Oregon. The conference is aimed at high school students and is full of intense learning, deep relationship building, and a huge celebration of who God is. This is episode 9 of the CB Northwest and Camp Tadmor events podcast. We’re continuing our most recent event, Winter Youth Celebration 2018. The theme was Become, Romans 6:17-18. Here is Session 4 with Katy Faust. Katy Faust is the Founder of Them Before Us, the only organization solely devoted to defending a child's right to their mother and father. She did her undergraduate degree in Political Science and Asian Studies at St. Olaf College and then received a Fulbright scholarship to Taiwan. Her fluency in Mandarin assisted her when she worked with the largest Chinese adoption agency in the world. In 2012 Katy began blogging about marriage and children at askthebigot.com. Her articles have appeared in USA Today, Public Discourse, and The Federalist and she has filed two amicus briefs opposing the redefinition of marriage. She has advocated for the rights of children with lawmakers in the US and abroad as well as at the United Nations. She currently appears in a video series called Dear Katy which offers advice on how to live sexual integrity in the midst of morally permissive cultures. She is married and the mother of four children, the youngest of whom is adopted from China. Winter Youth takes place December 28th through the 30th at the Red Lion Hotel at Jantzen Beach in Portland, Oregon. The conference is aimed at high school students and is full of intense learning, deep relationship building, and a huge celebration of who God is. 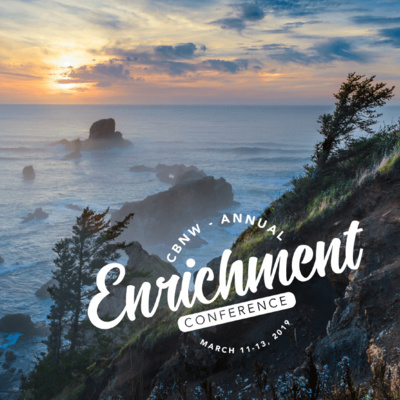 This is episode 8 of the CB Northwest and Camp Tadmor events podcast. 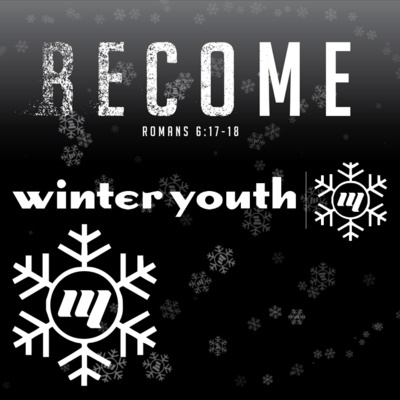 We’re continuing our most recent event, Winter Youth Celebration 2018. The theme was Become, Romans 6:17-18. Here is Session 3 from the Axis Team. Axis is coming back again this year with "The Marketplace of Ideas"! Axis presentation will cover: Exploring the effects of technology on our faith and relationships. Seeing that the things we love come from what we think about and believe. Axis will encourage your students to think and live mission-ally. Winter Youth takes place December 28th through the 30th at the Red Lion Hotel at Jantzen Beach in Portland, Oregon. The conference is aimed at high school students and is full of intense learning, deep relationship building, and a huge celebration of who God is. This is episode 7 of the CB Northwest and Camp Tadmor events podcast. 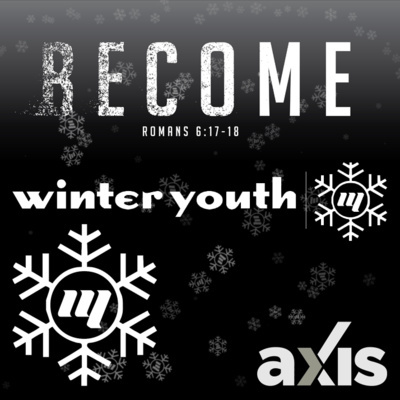 We’re continuing our most recent event, Winter Youth Celebration 2018. The theme was Become, Romans 6:17-18. Here is Session 2 from the Axis Team. Axis is coming back again this year with "The Marketplace of Ideas"! Axis presentation will cover: Exploring the effects of technology on our faith and relationships. Seeing that the things we love come from what we think about and believe. Axis will encourage your students to think and live mission-ally. Winter Youth takes place December 28th through the 30th at the Red Lion Hotel at Jantzen Beach in Portland, Oregon. The conference is aimed at high school students and is full of intense learning, deep relationship building, and a huge celebration of who God is. 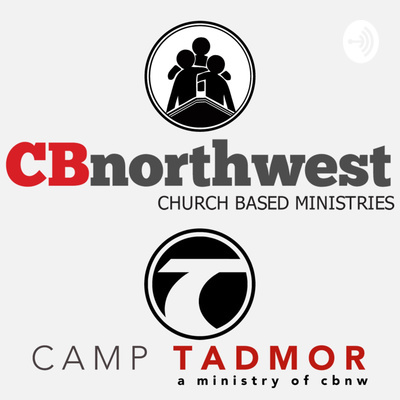 This is episode 6 of the CB Northwest and Camp Tadmor events podcast. We’re jumping ahead to our most recent event, Winter Youth Celebration 2018. The theme was Become, Romans 6:17-18. Here is Session 1 from the Axis Team. Axis is coming back again this year with "The Marketplace of Ideas"! Axis presentation will cover: Exploring the effects of technology on our faith and relationships. Seeing that the things we love come from what we think about and believe. Axis will encourage your students to think and live mission-ally. Winter Youth takes place December 28th through the 30th at the Red Lion Hotel at Jantzen Beach in Portland, Oregon. The conference is aimed at high school students and is full of intense learning, deep relationship building, and a huge celebration of who God is.